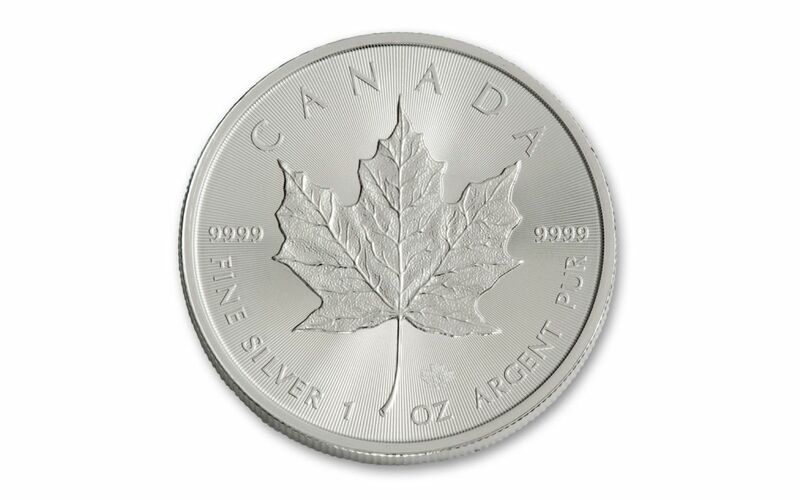 CERTIFIED NEAR-FLAWLESS -- Your coin will come certified Mint State-69 (MS69) by Numismatic Guaranty Corporation (NGC), a distinction that means your almost-flawless 2018 1-oz Silver Maple Leaf will showcase an impressive full strike and indistinguishable imperfections. 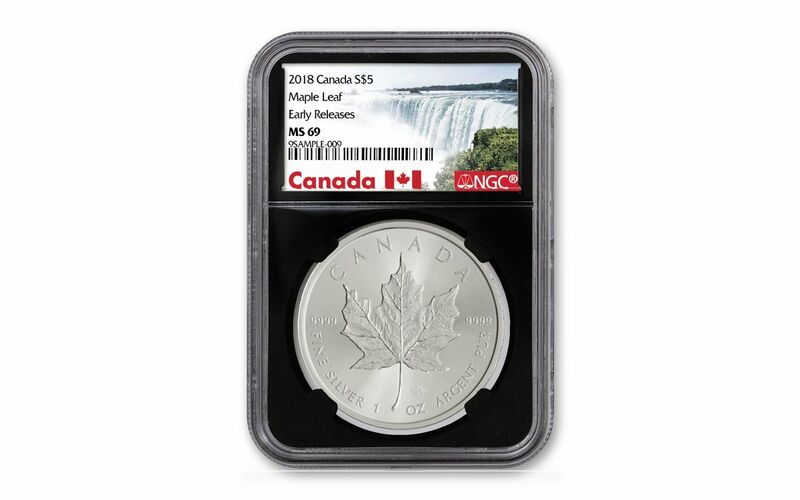 In addition, your Silver Maple Leaf will be certified Early Releases (ER) by NGC, meaning that it was among the first struck by the mint and was verified within the first 30 days of issue. 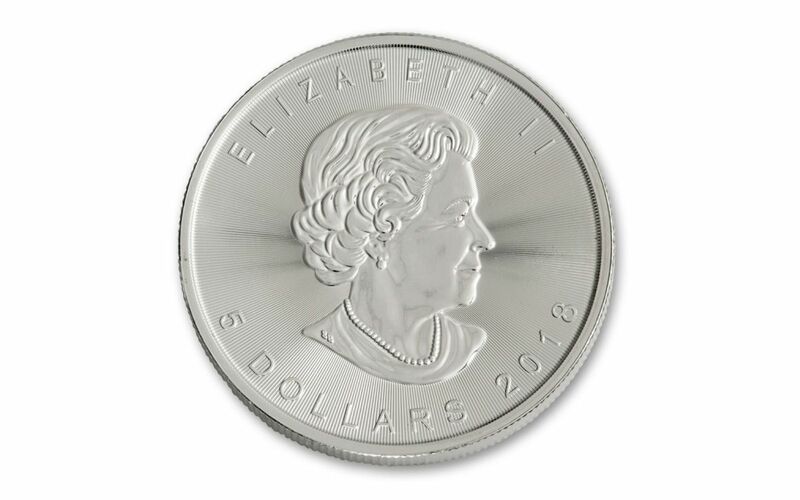 Finally, your coin will be sonically sealed in an acrylic holder with a black core insert, giving you the best in protection while granting clear sightlines and perfect visual contrast for every beautiful detail. As you can expect, collectors clamor over each new annual release of Maple Leafs. 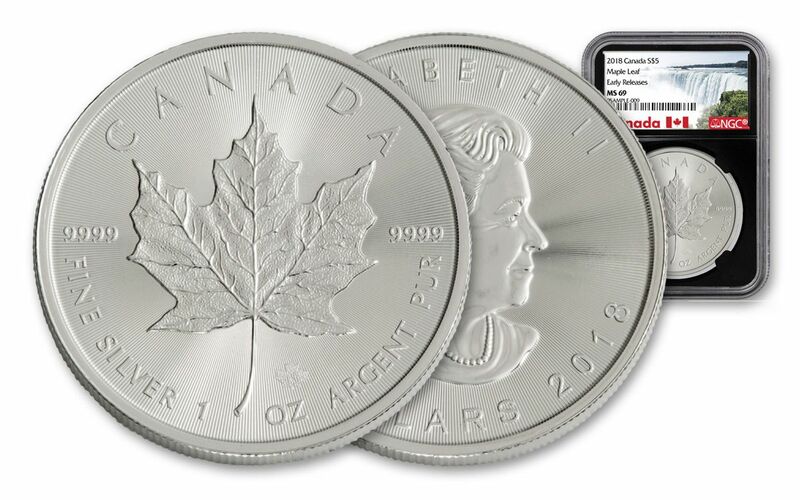 With 2018 heralding the series' 30th anniversary, we're expecting demand for this particular Silver Maple Leaf to be exceptionally strong. Don’t wait to get yours -- order one for your collection today!